I am Bhartee Patel .I am an Astrologer ,Numerologist and Palmist. 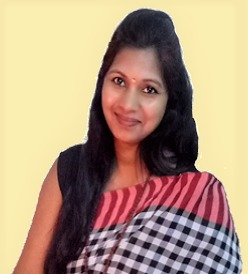 I am practicing the occult science since 2002 .I have provided guidance and remedies combining different branches and methodology of astrology,numerology and tarot card reading .I have devoted my life to help the needy person through the medium of star reading. I have given predictions to the people from all walk of the life. My clients have immensely benefited from my accurate predictions and simple remedies. My expertise lies in Marriage, Childbirth, Education, Career and Health etc. she has very good knowledge.. highly recommended.